On day six of our year in review, Health Forward Communications Officer Jennifer Sykes looks at the troubling decrease in reporting on health issues and how Health Forward is helping to bring more health news to the community. Over the last decade, media has evolved significantly. Television, radio and print newspapers and magazines were once the primary means to obtain news and information. However, the rapid evolution of the Internet and mobile technologies has generated new media platforms. According a findings this year from the Pew Research Center, almost half of us don’t have favorite news sources. Most of us now get news from three or more sources. The variety of compiled links in our own weekly health news digest supports this. Traditional media has struggled to keep pace in the digital age. This has resulted in diminished capacity, especially at newspapers. When I first started working with health media in the Kansas City area some 15 years ago, there were close to a dozen people covering health care throughout the metro. Today there are just a few who cover the health beat full time. Nationally, some 18,000 newsrooms jobs have vanished in the past decade. That loss of capacity has resulted in an increasing inability to cover the health policy landscape. That isn’t to say there aren’t people publishing information about health and health policy issues. There are many advantages to the new way that technology has helped us to inform our public. But with these technologies comes the idea that anyone can be a journalist. We still need traditional journalists and traditional reporting, no matter the media format. We still need independent thinkers who will engage in a fair and accurate search for truth. At Health Forward, our mission is to provide leadership, advocacy and resources to eliminate barriers and promote quality health. Having accurate and unbiased news and information is critical in achieving this mission. 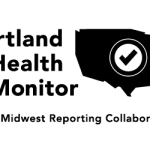 While Health Forward has funded non-profit journalism projects since its inception, over the past couple of years Health Forward has increased its support of health reporting through KCUR, Kansas City Public Television and the Kansas Health Institute’s News Services. Throughout 2013, these outlets have met to discuss formal plans to partner together and with other traditional news outlets to better cover health issues in the Greater Kansas City area. I’m excited to launch this new initiative in 2014 and know that these quality journalists will be able to help fill the void in health reporting, which in turn will help us all have more informed conversations about what we need to do to improve community health. Health Forward is not the only Foundation that has decided to fund these non-profit journalism projects. Private and community foundations across the country are investing more money than ever in these media projects. In fact, dollars for media grants grew more than three times as fast as overall grantmaking. Why are Foundations making these investments? For Health Forward, it is simple. We believe that a democracy depends on checks and balances provided by non-biased information gathers. Without strong reporting, the issues that we care about are shortchanged. The public will be less well-informed and the people and institutions working to solve the problems will be less accountable. As I look back on 2013, I’m impressed by the amount of information that we’ve been able to share with you from these media outlets, and I look forward to supporting efforts to continue to provide our community with this valuable information.